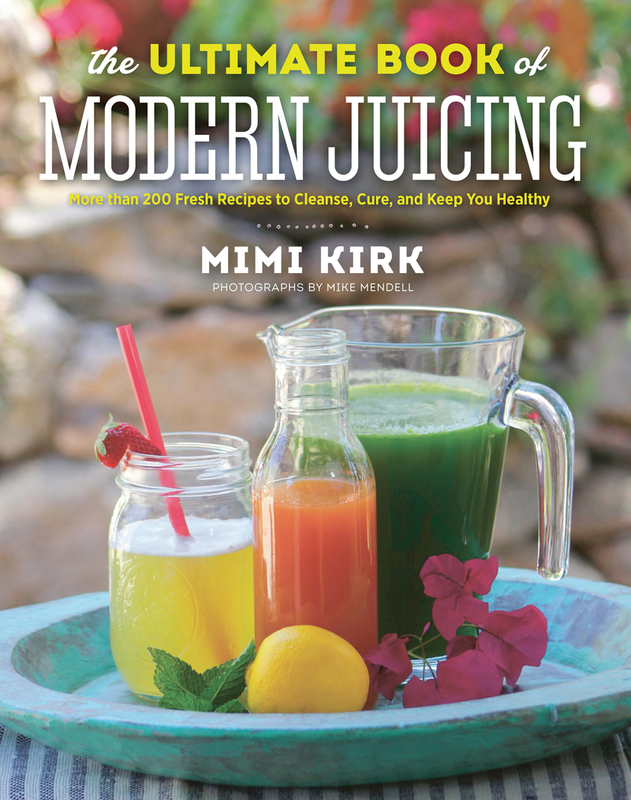 Step aside, Juicing Bible and Big Book of Juices: Mimi Kirk is back with the most current and fresh guide to juicing yet. With more than 200 recipes, handy advice on how to get the most from your juicing, and an eye toward taste, health, and cost, The Ultimate Book of Modern Juicing is the only book on the topic you'll ever need. Kirk has been juicing vegetables and fruits for more than 40 years, yet she doesn't look a day over 50. (And yes, those two things are connected.) She recently became more interested in how to use juicing to feel and look even better. Her discoveries—genuinely up-to-the-minute—are shared here, along with vibrant photographs of her creations The Ultimate Book of Modern Juicing is a must-have for everyone interested in or committed to the juicing lifestyle.